Meet Reggie the French Bulldog and his mom and dad, Tia and Michael. I photographed Tia and Michael's wedding in Nashville 3 years ago and when Michael contacted me about buying a family session for Tia for Christmas, I was excited! Tia had been pleading with Michael to do a session with me and she had no idea that Michael and I were already talking. Michael was concerned that Tia was going to get frustrated and contact me herself to book and I was under strict orders to tell her that I wasn't taking any more clients. Christmas came and Tia was so surprised! This past Sunday we photographed their family of three session. 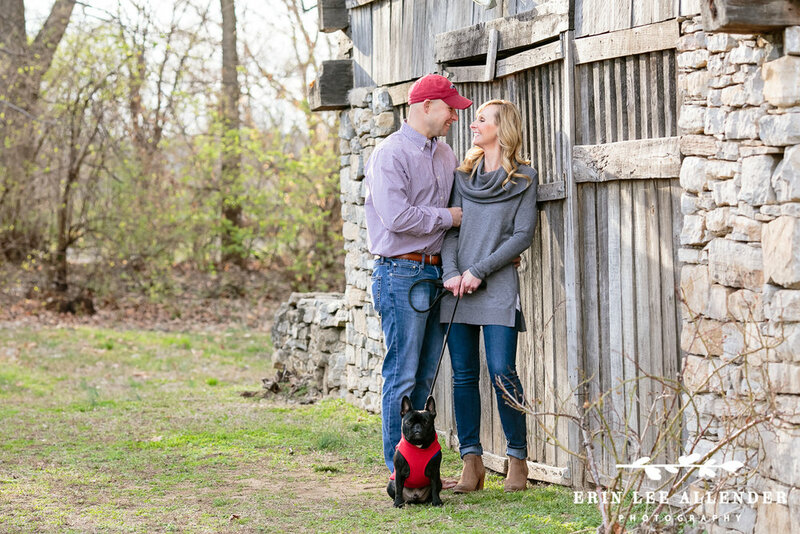 Here is their sneak peek from their session in Franklin!